Calling today’s era as a smartphone era wouldn’t be judgmental and I can vouch for it. Everyone keeps a smartphone and requires best result producing device, then how could the screen resolution be left untouched. In this tech world, smartphone’s become necessary and they are not only for calling purpose. There are lots of other stuffs to perform on the same like photography, internet surfing, emailing, social networking etc. You often find yourself lost in the numbers of pixels, when you are going out for buying a new smartphone or searching the best device over Internet to buy. In bunch of handsets, it becomes tough to find the best one as per your need and budget. Some offer low-resolution, some come with high-resolution like recently launched Samsung Galaxy S6 and Galaxy S6 Edge have QHD displays . Now one question will definitely arise in your mind. Does the screen resolution matter in smartphone? If yes, then what would be the best one? Here I’m trying to explore the importance of screen resolution in a smartphone. Let me jot them below. The screen resolution is about number of pixels vertically and horizontally on a display. For example, when a phone shows display of 1280x720p resolution, then it means it has 1280 lines of pixels vertically and 720 lines horizontally. Currently no one goes for the low resolution. However, market is flooded with several low-resolution devices, 800x480p is common among them. Numbers to Be count for Pixels, Which One to Select? High resolution devices always cost high because of their capability to offer amazing screen output. Or we can say that as high the resolution, as pricey the device, only low-resolution devices are available at affordable price. However, lots of manufacturers have jumped into the fray where they are producing affordable smartphones with HD display like Lenovo A6000. Most preferred resolutions are HD (720×1280 pixels), full-HD (1080×1920), and QHD (2560×1440). Don’t get confuse with 2K as some companies are promoting their smartphones with 2K display just for creating buzz. 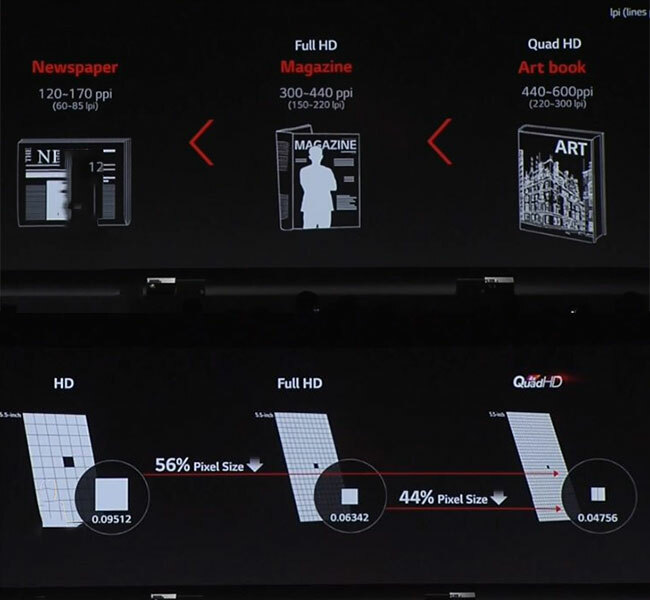 It is actually QHD resolution, as 2K has 2048x1080pixels which is not appropriate for smartphone. 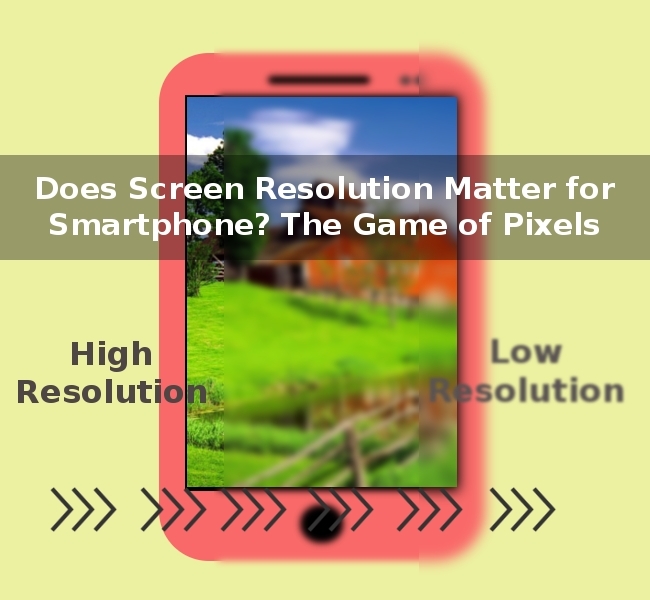 This game of pixels plays important role in offering quality screen output. It affects the picture and video quality most. As we all know that now all smartphones come equipped with stunning camera module. So, to protect your best moment’s pictures to be pixilated, the count of pixels need to be increased vertically and horizontally both. Not only images and videos are the main concern for high resolution, lots of other stuffs are also there like websites, web pages, e-books which are getting improved with this. That’s not enough at all, as the PPI also matters. PPI stands for pixels per inch; it’s for pixel density which is required to decide the clarity of screen and calculates by screen size (which measures in diagonal always) and resolution. Check the specifics of hTC One M9 which has full-HD display. For example you have two smartphone to choose – one with 4-inch HD display and another with 5-inch HD display. Here, PPI decides which one is better. 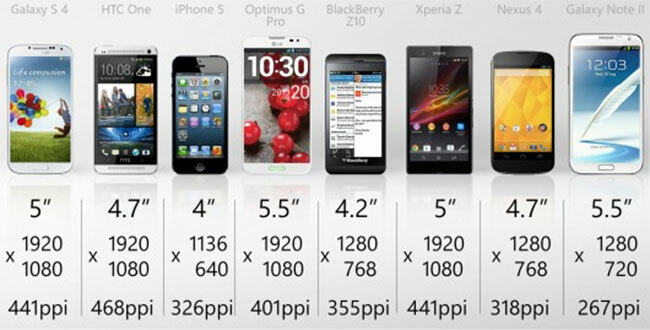 The 4-inch device offers pixel density of 368ppi and the 5-inch device offers 294ppi. 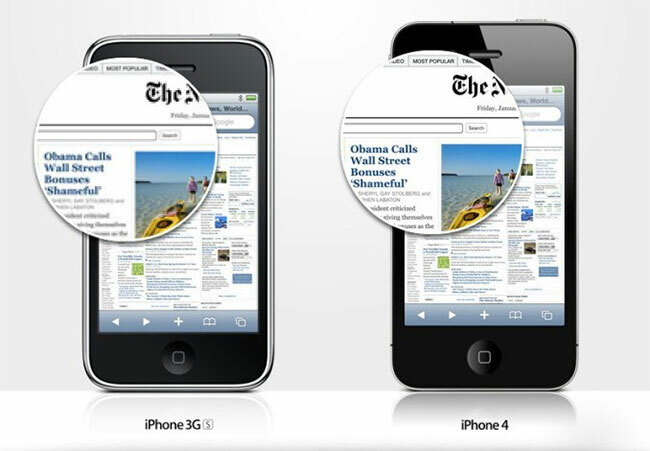 For better screen output, you should go for the smaller one with high PPI. But remember, smartphones with high resolution display always consume more power than low-resolution, which means reduced battery life. So choose intelligently, keeping the battery capacity in mind. Now decision is yours, I wish that the information provided above will help you to come out from this game of pixels in screen resolution. « “Scrumptious Munchies” While Cheering For Your Favourite Team On This World Cup 2015!